Australia's largest online appliance retailer, Home Appliances, Fridges, Freezers, Washers + more. Appliances Online offers the widest online range of all the top brands with Australia-wide delivery. An Australian business, Appliances Online is trusted by over 260,000 customers nationwide. It has the best online range of top-brand appliances, at consistently low prices. AV Products includes but is not limited to selected Garmin, Jabra, Toshiba, Sennheiser, Nikon, Sony, Microsoft, Samsung, and Panasonic products. The items included in AV Products is determined by Appliances Online, not Cashrewards. 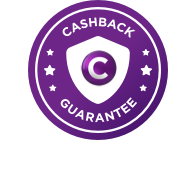 Cashback is ineligible when price matching a competitor.